What time is it? Time for a hashcapade, of course. It’s also time to impart some wisdom on hash outings, which is: have a back-up plan. I had originally planned on Screen Door with the girls, but by the time Noon rolled around and the girls still asleep (teen comas), off I went. So, 20 minutes later, there is a huge line at Screen Door, which sent me into a panic – where to go next? Fortunately, I have a handy-dandy hash list on Google Docs (shameless product placement) and chose Fuller’s Coffee Shop on 9th and Davis. Conveniently located on the way home, I had a hunch that the efficient 50s style urban diner would be just the ticket for a quick, old-school meal. As soon as I stepped into the shop, the reverse dual U-shaped counters, friendly diners chatting and leftover newspapers made me feel instantly at home. The owner (must introduce myself next time) was holding court at the cash register and around the counter, cleaning here, pointing at a spot there. 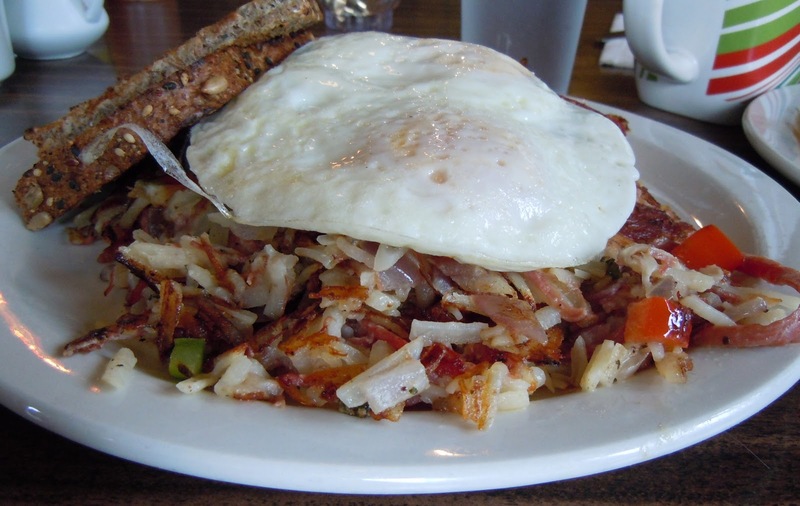 I plopped down on a polished chrome stool with a cushioned seat and ordered a classic corned beef hash with coffee and wheat toast. 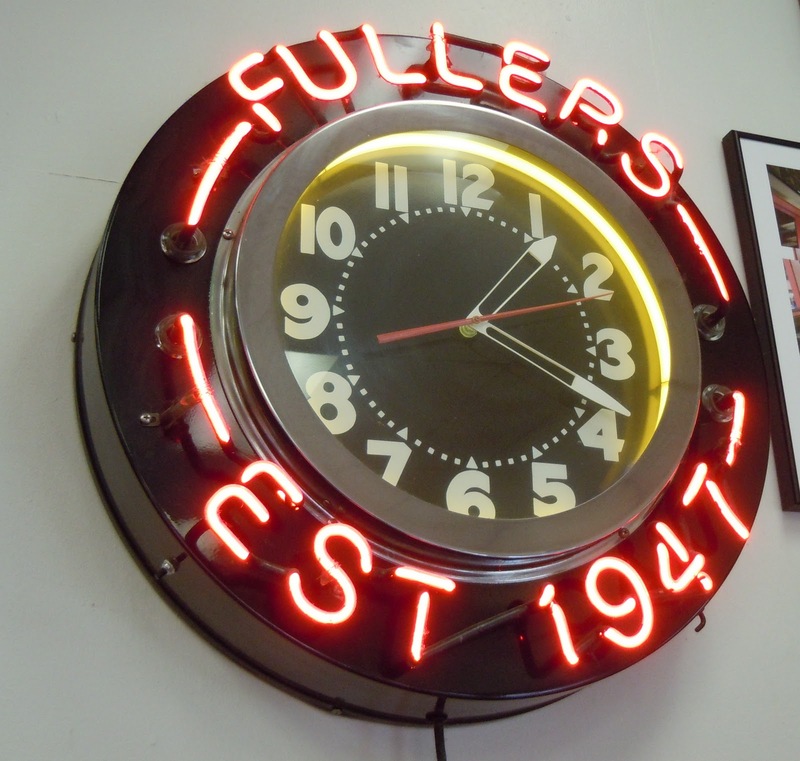 Hopefully, the photo conveys the old school charm of Fuller’s: generous portions, basic diner coffee cup, cream and the once-ubiquitous green receipt – a mere $10.25. I couldn’t have picked a better place in a pinch! 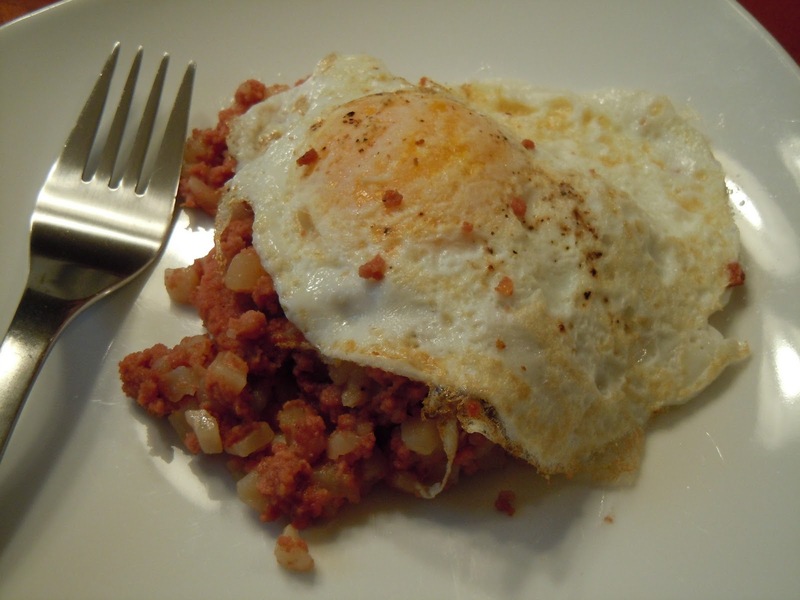 Oldest Hash Recipe: A college student in Portugal discovered a recipe dating back to the 15th century for a Picadinho de Carne de Vaca or Beef Hash. Can you imagine Portuguese ships sailing to Brazil laden with Picadinho? Somehow, I know it’s related to Carnival, which is why Carne is in the name, obviously! Regional Differences in the US: Southeast tends to like crab, Southwest tends to like rice, everywhere else seems to favor potatoes and just about any meat. Maine is unique in that it likes lobster and they pronounce it funny, like a cross between Bostonians pronouncing “Hah-vahd” and Simon Cowell saying “Dreadful”. See what I mean? 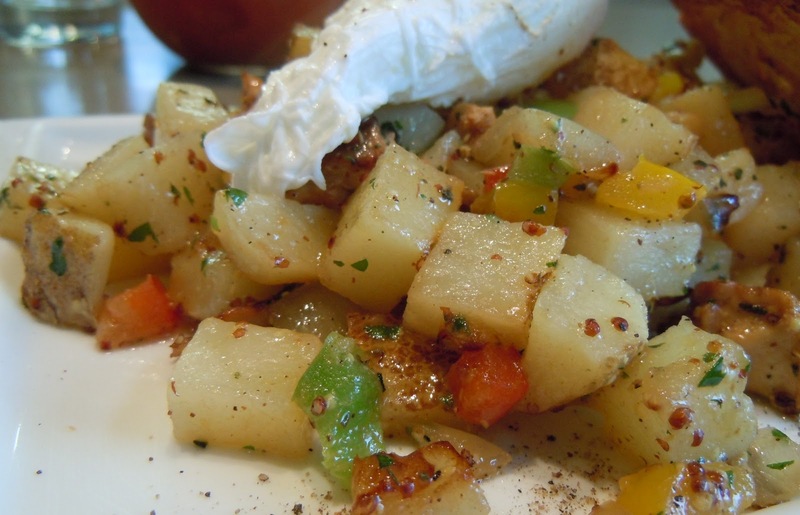 Hash Around the World: In Sweden, hash is called Pytt I Panna and consists of potatoes, bacon or pork or ham, and onion and is served with eggs and pickled beets . In Latin America, it’s called Picadillo and contains rice, beef, peppers and is served with eggs or tortillas. 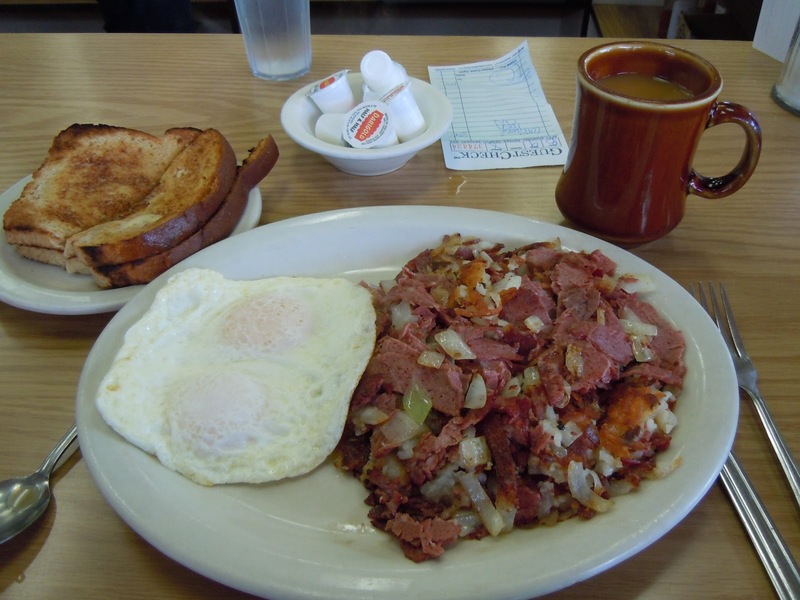 In North America and the British Isles – Hash is usually corned beef, potatoes and onion, with regional difference in the US noted above. It should be intuitively obvious the ubiquity of hash means it ascendency to prominence in your cooking repertoire is pre-ordained and is truly a result of globalization that started just after the last dinosaurs disappeared, but before gun powder was invented! Amount of Corned Beef Hash Produced By Hormel per Year: 5 bazillion cans, which, if stretched end to end, would circle the earth enough times to consititute a red hash bracelet visible from that former planet known as Pluto. Google Results with “Hash” in the Results: 57,300,000 (as of January, 2011). Interestingly enough, hash as used in security yields ~53,100,000 hits, hash food yields ~8,360,000 and hash drug yields ~3,160,000 and hash running yields ~15,700,000. And to tweeps using hashtag(s), ~1,870,000. I’m from Oregon, so here’s a shout out to the Oregon Hash House Harriers! And to security geeks, eat more hash! Go on, try it yourself! Hashing the Sport: Sort of a secret society like The Free Masons meets fraternity/sorority row for runners, hashers describe themselves as drinkers with a running problem. Groups throughout the US set up hashes where “rabbits” hide booze along a running path and “chasers” find them, drink them and engage in generally unruly and bawdy behavior. Hashers like hash, beer and running. Oh, and they have itneresting nicknames derived from their bawdy behavior or quintessential character traits. Hashing in Security: Security technology includes lots of important sounding words like encryption, authentication, identification, repudiation, nonces, etc. It turns out that hashing in security parlance refers to a one-way scrambling function (hash) that renders whatever it transforms – data, passwords or keys – into meaningless garble that cannot be figured out by reverse engineering or other mathematical contrivances.This does not mean that the hash you make is meaningless garble nor it is secure, but it is truly delicious and easy to make, naturally! Hash Tools: Sharp knives and an innate ability to tell the difference between a 1/4 inch dice and 1/2 inch cubes, duh! If in doubt, have a caliper, ruler or micrometer handy! A particularly stellar mandoline with the ability to dice is the crème de la crème – made by de Buyer. Hash Tags: A recent convert to twitter, hash tags are defined by twitter as, “The # symbol, called a hashtag, is used to mark keywords or topics in a Tweet. It was created organically by Twitter users as a way to categorize messages.” Please use the #hashcapade hashtag whenever you tweet about hash! Hash Key: If you’re like I am, the sound of a female operator with a British accent suggesting that you “please press the hash or square key” is fabulous. It makes me secretly yearn to put that voice on my iPod or wistfully search on facebook for the Bridget Hash Key, at least I think that’s her name. This description in Jam’s menu piqued my curiosity: “We slow cook huge briskets of corned beef in beer (yes beer! ).” Two of my favorite things combined? In a scrumptious hash? Yes, please! So off to SE Hawthorne we drove from the burbs, crossing the “humming” bridge, a.k.a. Hawthorne Bridge, and its steel-grated decks. If you modulate speed correctly, it sounds like “O Canada,” but I digress. 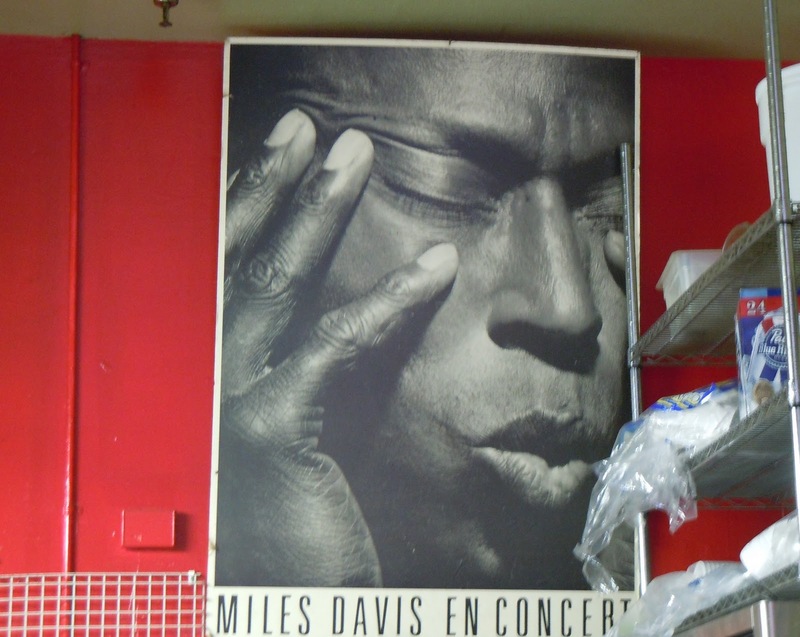 I loved the vibe at Jam Cafe & Arthouse, aptly named for the music, the Miles Davis poster, and the painted mini-slats of wood arrayed along the west wall in spectral order. Did I just type spectral? I meant colors in the order of the rainbow, but most certainly not a double rainbow, vivid or otherwise. Now down to business. 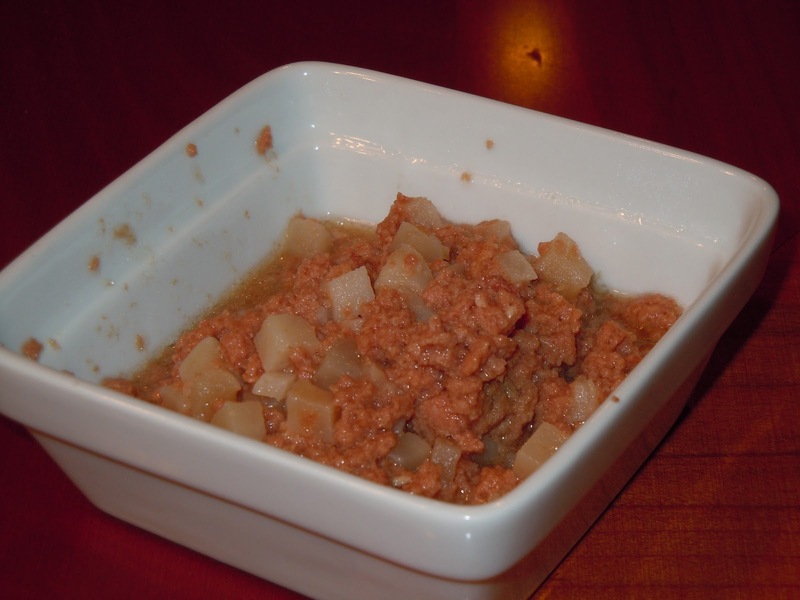 The corned beef hash was very flavorful – the malty-caramel flavor of the beer-infused corned beef came through. Mixed in with hashed browns, peppers and topped with two over-easy eggs, my hashcapade was simply delicious. If you’re hungry, this is the place to go. The portions are very, very generous, which means you can share or you can expect to take some home for later. Leftover hash. Is that redundant? Discuss. While we ate, Wild Horses by the Rolling Stones started playing, which was how I felt, “Wild horses couldn’t drag me away” from Jam. I’ll definitely have to return to try Brian’s Hash – spicy sausage hash that the waiter recommended that I must try. Oh, and don’t forget a little Secret Aardvark Sauce made from habaneros to spice things up, right @LizzyDishes?! 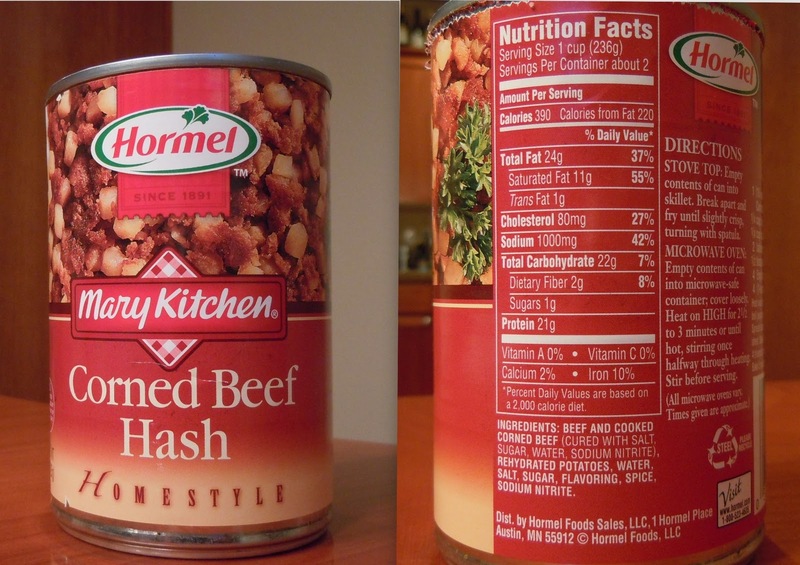 Oh yes I did – Hormel’s iconic Corned Beef Hash in a lovely steel can with the Mary Kitchen logo. My motivation was simple: the entire spectrum of hash must be experienced, much as Anthony Bourdain samples exotic eats, although I would fake a seizure to avoid some of them. Anyway, I decided to try both cooking methods – microwave and skillet, saving what I thought would be the better option for last, right? Okay, so into the micro I popped a scant amount and proceeded to nuke it for 30 seconds. My micro must have been set to molecularize mode because the resulting serving was steeped in liquid and the meat globbed together. My working theory is that Oompa Loompas masticate the corned beef on an assembly line to achieve such consistency! Next was the skillet method that I hoped would help brown and perhaps slightly – please don’t laugh – caramelize the hash and impart additional character. To maximize the presentation, I topped it with an over-easy egg – yes it was organic and laid by cage free hens, completely ironic and quite possibly a misdemeanor. How was it? Truth be told, the egg helped compensate for the hash’s shortcomings and I finished the entire breakfast, complete in the knowledge that I had survived my hashcapade in a can. Anybody have memories of similar experiences to confess? P.S. For readers in the Northwest, note the sodium levels. May be useful for controlling slugs! After a few false starts – not open on Mondays and being kidnapped by my running posse for breakfast elsewhere – my most eagerly anticipated Hashcapade finally came to fruition. 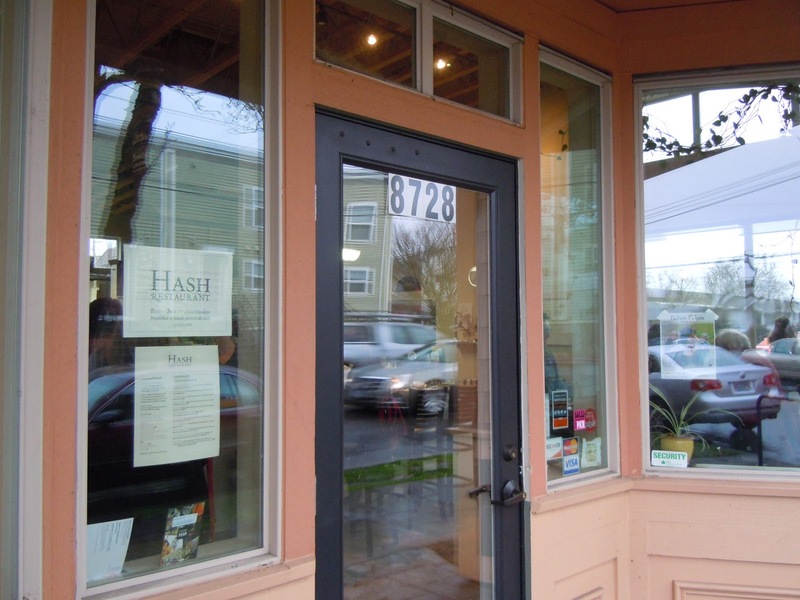 I’m speaking, of course, about Hash Restaurant, a hidden gem on SE 17th in the Sellwood area of Portland. Unlike other Hashcapades, the name of the restaurant and my hash obsession merged as one, either a sign of cosmic destiny or merely a gastronomic coincidence. In any event, we opted for the counter seating to watch the action in the kitchen as the chef expertly flipped the hash in the pan, seasoning it with salt and other magic spices. The result was nothing short of amazing – perfect flavor, good balance of potatoes, mushrooms, and multi-colored peppers – all presented on a slim, rectangular plate artfully bent at each end. Hash Restaurant offers three types of hash – Corned Beef, Braised Pork Belly and Mushroom. I opted for the Sweet Tooth Mushroom (varies by season) and Lisa ordered the Pork Belly, which was smoky, full of flavor and simply lovely. We were instantly addicted and slowly savored each and every bite, regretting that we hadn’t brought another foodie so we could have sampled all three! 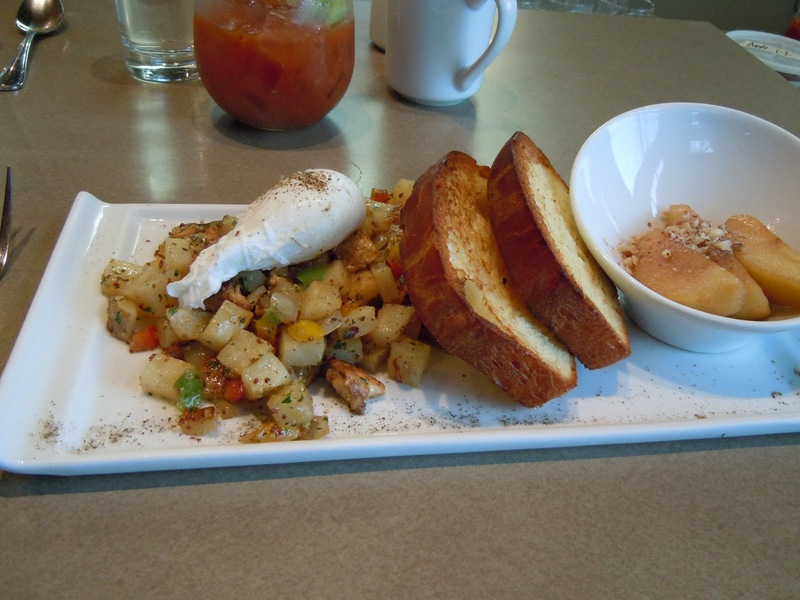 So, find time on a slow weekend and take your friends to Hash Restaurant – you will wonder why you waited so long! Simply put, Julia Moskin, a reporter for the Dining section for the New York Times, wrote about hash. Her article, “The Humble Plate of Hash Has Nobler Ambitions,” encapsulates in one line the very core of my obsession to see hash have its due in the annals of cooking history; to be considered worthy of its own dedicated tome, preferably one I write and publish! Thus was born this separate blog, Hashcapade and Musings of a Foodie, to focus on a culinary tradition mindlessly relegated to breakfast and leftovers. No, this is not to be its legacy, which dates back to at least the 15th century with a Portuguese recipe, Picadinho de Carne de Vaca, or Beef Hash. You see, the legacy of hash is being created every day around the world and the article Julia Moskin wrote calls to me like a siren song to explore its intricacies and share my interest in the topic, which began in 2007. 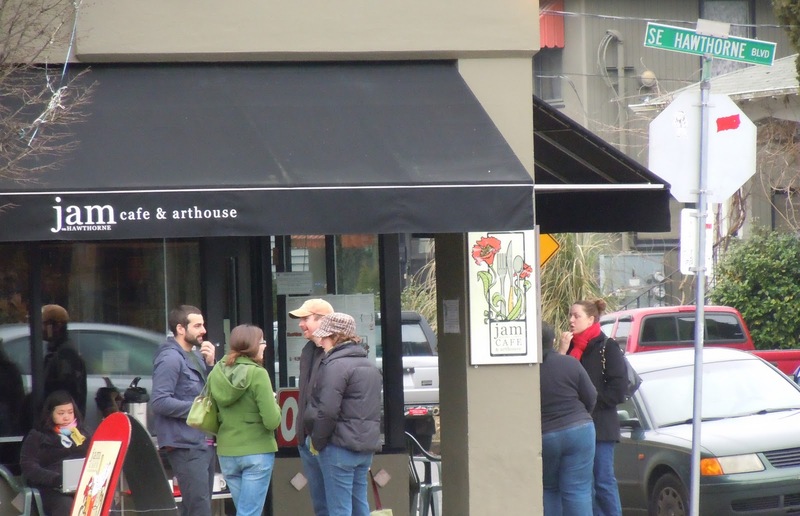 You’ll notice that my blog is still thin from those early recipe days and seems to be populated most recently with Hashcapades, adventures to sample hash in the amazing restaurant scene that Portland now nurtures. Please be patient. The skeletal structure will be fleshed out, filled in and polished, one post at a time.